Irish History Timeline: This week 6th class made an Irish history timeline. 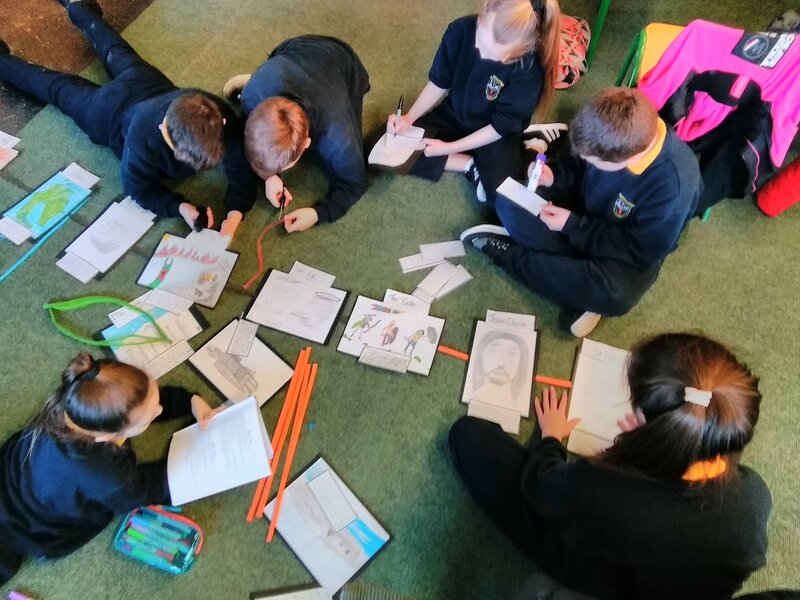 We started from the very beginning with the Big Bang and progressed through the ages highlighting things such as the Celts, Vikings, Famine, 1916 Rising, Irish Civil War etc. Everyone got their own piece of history to draw and write about. We had lots of fun learning about our country’s history. Assembly Performance: it was the turn of both 6th classes to perform at assembly. We decided we would update the school on all our news and we would also sing the song Shallow from the film A Star is Born. The boys sang one verse and girls sang the other. We think we did a fine job and the video turned out pretty cool too. 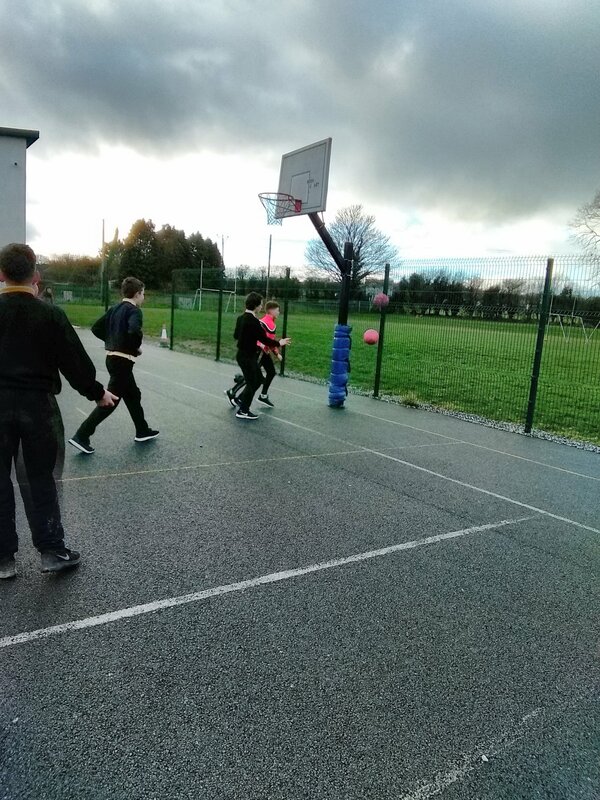 Basketball Blitz: both 6th classes took on each other in a friendly basketball blitz last week. There were 6 teams taking part and it was all about having a bit of fun while learning the skills of basketball. We all got a great workout, but I think we all need to practice our shooting a little more.